It probably won’t surprise anyone out there to find out that Amazon started Prime Day 2018 ahead of schedule. The huge 36-hour Amazon sales event apparently can’t be contained in just 36 hours, so Amazon has decided to make it a 48 hour affair. 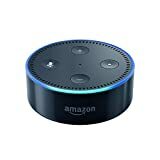 In the wee hours of the morning on Monday, July 16th, Amazon kicked off Prime Day early with a slew of killer deals on just about every Amazon device you can think of. We covered every single one of them in a post earlier on Monday, but now it’s time to single out the five best Prime Day 2018 deals that are already available right now. 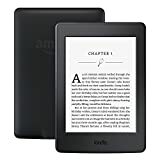 In the #1 and #2 spots we’ve got Amazon’s most popular devices at their lowest prices ever. 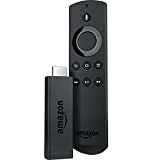 The $50 Echo Dot drops to just $29.99 for Prime Day, and the $40 Fire TV Stick is now available for just $19.99. Yup, the best streaming dongle out there is only $19.99 right now! If you ask us, the hot new $400 Toshiba 50-inch 4K Ultra HD Smart LED TV with HDR – Fire TV Edition for just $289.99 is the single craziest deal of Prime Day 2018, and then you’ve got the $120 Kindle Paperwhite for only $79.99). 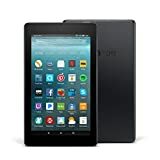 Finally, wrapping up the top-five, you can get a Fire 7 Tablet with Alexa for just $29.99 today. It’s already a crazy value at $50, but $29.99 is a no-brainer for this awesome tablet. Connects to speakers or headphones through Bluetooth or 3.5 mm stereo cable to play music from Amazon Music, Spotify, Pandora, iHeartRadio, and TuneIn. Play music simultaneously across Echo devices and speakers connected via cable with multi-room music. 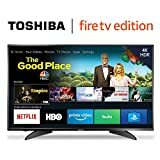 Toshiba 4K UHD Smart TV – Fire TV Edition delivers true-to-life 4K Ultra HD picture quality with over 8 million pixels for stunning clarity, deep contrast, and vivid colors. Easily control your TV with the included Voice Remote with Alexa—plus, launch apps, search for TV shows, play music, switch inputs, control smart home devices, and more, using just your voice. Dimensions (W x H x D): TV without stand: 44.6” x 26.4” x 3.7”, TV with stand: 44.6” x 27.8” x 10.7”. Multiple device input/output options: 3 HDMI including 1 with ARC, USB, composite input, digital output (optical), antenna/cable output, audio output, Ethernet. Beautiful 7″ IPS display with higher contrast and sharper text, a 1.3 GHz quad-core processor, and up to 8 hours of battery life. 8 or 16 GB of internal storage and a microSD slot for up to 256 GB of expandable storage. Enjoy millions of movies, TV shows, songs, Kindle eBooks, apps and games – including Netflix, Facebook, HBO, Spotify, and more. Prime members get unlimited access to over a thousand books and magazines, millions of songs, and thousands of movies and TV episodes – at no additional cost.